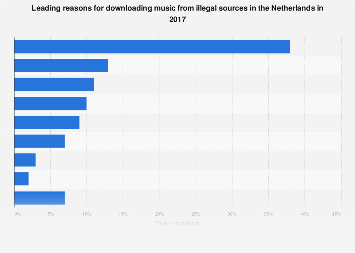 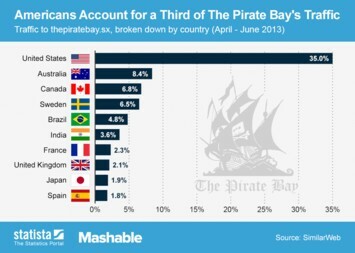 Despite all efforts of the music industry to fight music piracy, 405 million music releases were downloaded worldwide via BitTorrent in the first half of 2012. 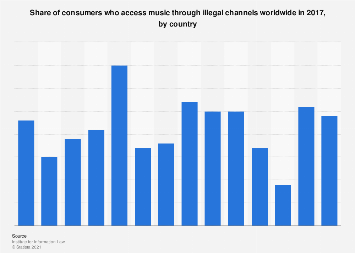 According to Musicmetric’s Digital Music Index, Americans were the heaviest file sharers, downloading almost 97 million music albums and singles from January through June. 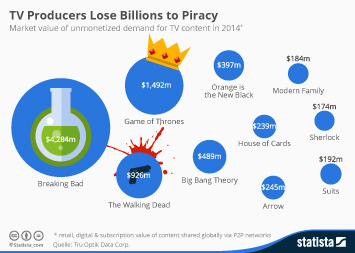 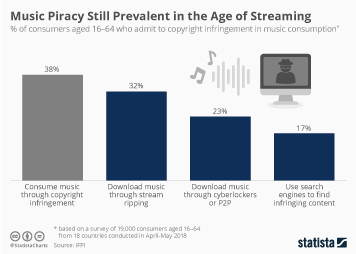 In the same period, only 57 million digital albums were sold legally in the United States, showing the magnitude of the music industry’s piracy problem. 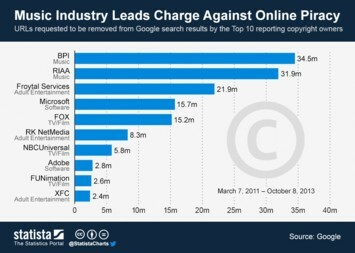 Lawsuits and criminalization haven’t gotten record companies very far in their quest against file-sharing. 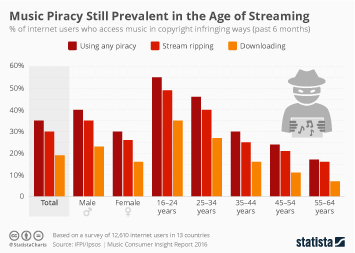 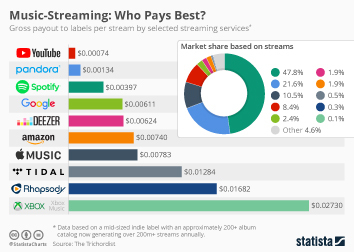 Maybe the industry should instead focus on supporting legal services such as Pandora and Spotify who are in danger of choking under current licensing agreements. 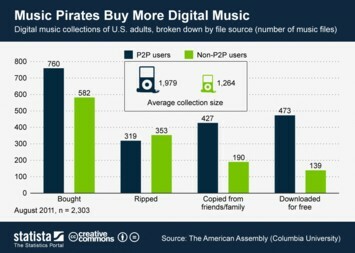 This chart shows the total number of music releases downloaded via BitTorrent in the first half of 2012.